This study explores the impact that customer-to-customer interaction has on how customers experience a group service encounter and what firms can do to encourage positive and prevent negative interaction. Group service encounters are common in many service industries, including tourism and leisure, sports and recreation, education, and health care, when multiple customers are intentionally batched and involved in the delivery and consumption of a service. There are economic benefits to grouping customers together, thereby allowing firms to reduce the price to customers. Putting customers in groups can also be vital for the delivery of the service such as a theatre class where participants perform an improvisational scene together. Prior research on customer-to-customer interaction has focused primarily on services that are consumed ‘in the presence of’ other customers such as queues in theme parks and in retail settings. 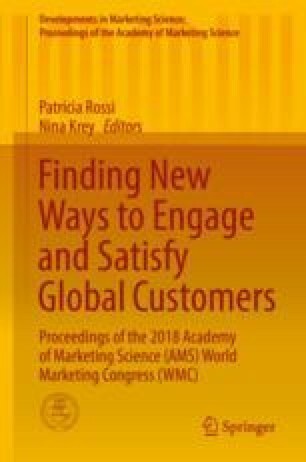 Customer-to-customer interaction in services that are consumed ‘with’ other customers, group service encounters, has so far attracted relatively little attention from researchers. We focus on the tourism and leisure sectors and conduct 3 sets of interviews, with 8 managers, 12 customers, and 10 frontline employees of firms that organize services in which customers are batched together in the delivery of the service. From our interviews, it is clear that positive customer-to-customer interactions in group service encounters can be facilitated by the service firm in specific ways. Likewise, negative customer-to-customer interactions can be prevented or stifled through actions by the service firm. Through our findings we identify four factors of customer-to-customer interaction that can impact the service experience: group size and composition, service design, employee prompting, and the behaviour of the customer group.